Home > Special Offers > Service & Parts > Winter Tires Sell Down Event! Winter Tires Sell Down Event! 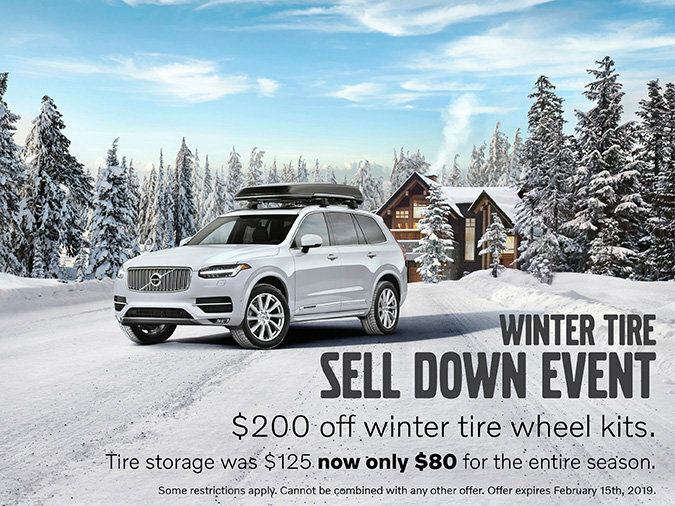 It's the Volvo Winter Wheel Selldown Event! Now for a limited time receive $200 off winter wheel kits purchased now, through February 15th 2019. Hurry, this offer will not last. Certain conditions apply, contact dealer for more details.